Yesterday, I watched the class of 2011 graduate from Lowell High School. It was a very special occasion for a number of reasons. 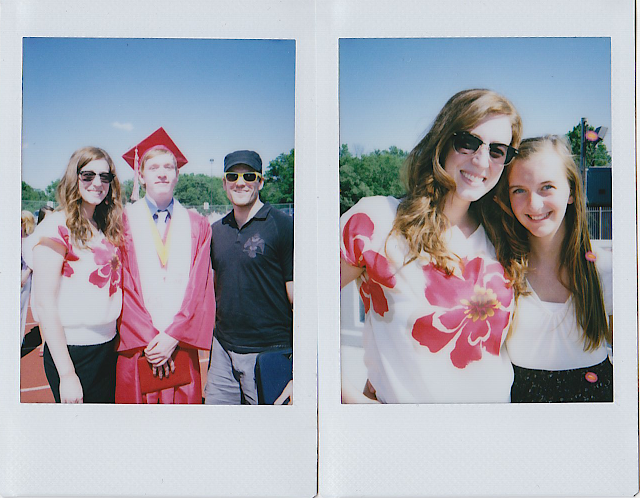 Primarily, my (not-so-baby) Baby Brother graduated. I almost started crying as they were all walking in front of us in the football stadium bleachers to the classic "Pomp and Circumstance". Graduation started at 3:00 in the afternoon, but we had amazing seats because Greg went up to the high school at 10:00am to make sure we were front and center. Because of our completely awesome seats, Brad saw us right away and gave us the cutest smile and wave I've ever seen. He probably won't appreciate my use of the word "cute" in describing him, but it was that moment that literally brought tears to my eyes and caused me to pause and celebrate the man he has become the last 18 years of his life. I am so proud of him! The second reason it was a big deal is because this was the class that we started with when Josh began pastoring 4 years ago. When he was hired, he said his goal was to stick around long enough to see the freshman graduate, and yesterday, they did. So a lot of my "babies" were in the crowd and I was cheering for a lot of the kids that crossed the stage. It was a big day for us. A culmination. A mission accomplished. Goal achieved. We made it to the finish line with smiles on our faces and fond memories in our hearts. Can you tell I'm a really sentimental person? I really, really am. 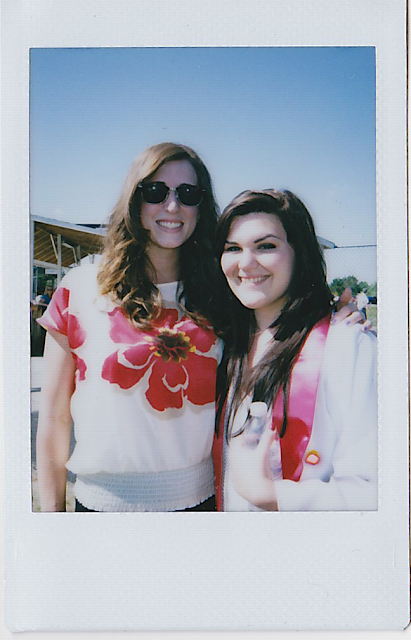 It was the perfect occasion for my instax mini camera! 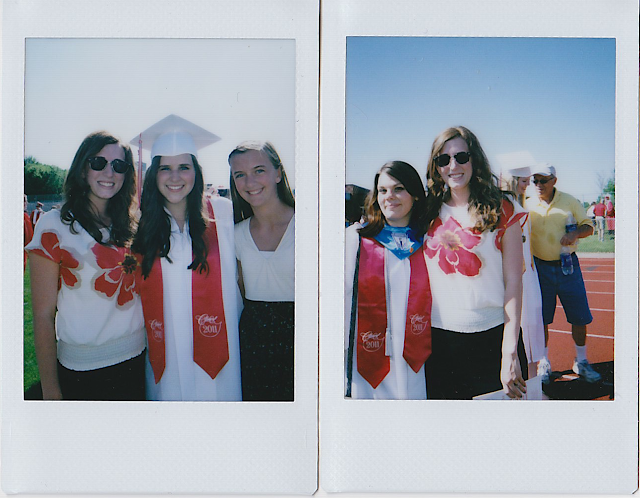 After the ceremony, Katie and I ran across the field in search of Brad and a few of my senior girls. We had a lot of fun and I was very happy with how my pictures turned out. 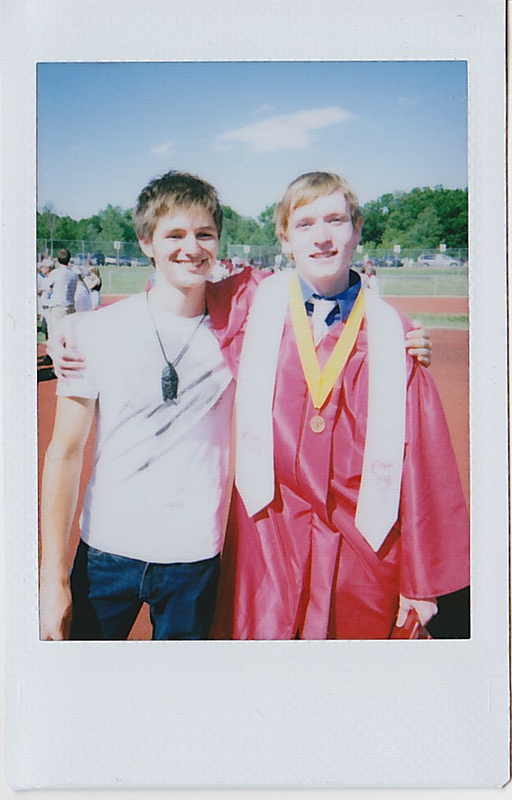 Brad and his best friend, Nick. Josh and I with the graduate, and me and my Sweet Girl. After the ceremony our family as well as our extended family (Grandma, Grandpa, Grandma Pat, Aunt Sue, Aunt Lori) all came back to my parents house for cake. The crowd erupted in cheers when Brad walked in the door; cheers that weren't nearly as loud as those we let out as he walked across the stage, though! Look at those buttons! Beauts!